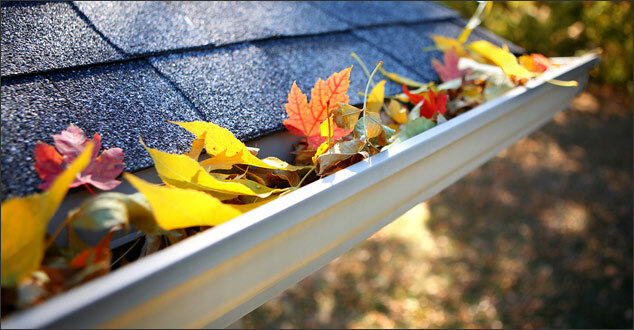 Most homeowners don’t get excited about replacing their gutters. However, they play an important role when it comes to protecting and maintaining the exterior of your home. Gutters that are worn, dented or otherwise damaged are not serving their intended purpose of carrying water away from your home. Not only will new gutters improve the appearance of your home, but efficient, properly installed gutters can help you avoid much bigger problems as well as costly repairs. Are you wondering if your drainage system could use replacing? First, consider the age of your gutters and the material from which they are made. Aluminum and galvanized steel gutters typically last around twenty years while copper gutters can last up to fifty years. If you are not sure of the material or the age of your drainage system, here are a few things you can look for on and around the exterior of your home that will help determine if your gutters are working properly. Standing water in your gutters. Gutters that are sagging, hanging or twisting, seamed gutters that are pulling apart. Bends, dents, cracks or holes in the gutters that are beyond repair. Corroded wood behind the gutters or peeling paint and/or rust stains on the exterior of your home. Gaps between the gutter connections or between the gutters and the boards to which they are attached. Nails and /or broken fasteners on the ground around your home that have fallen from loose gutters. Gutters that have passed their prime can cause some major (seemingly unrelated) home repair issues. Surprisingly, water leaking into the basement or the presence of mold in the basement could be a result of a faulty drainage system. Of course, water leaking into any cool, damp place can only lead to more bad news: mold. When water pools around the foundation of your house, this indicates that the soil beneath is completely saturated. This condition puts a great amount of pressure on the lower exterior of your home. As time goes by, the force of the pressure may cause the lower portions of your home’s walls and basement walls to crack or move inward. In addition, after the pooling water drains, erosion of the soil may take place. In turn, the foundation may settle. The results may include cracks in chimneys, walls, and uneven floors. If you have come to the conclusion that your drainage system is not functioning as efficiently as it should, don’t wait until the problem has snowballed. Contact us at Renovations Roofing & Remodeling, Inc. today. Let us help you prevent extensive and costly repairs to your home by replacing or repairing your gutters and drainage system.